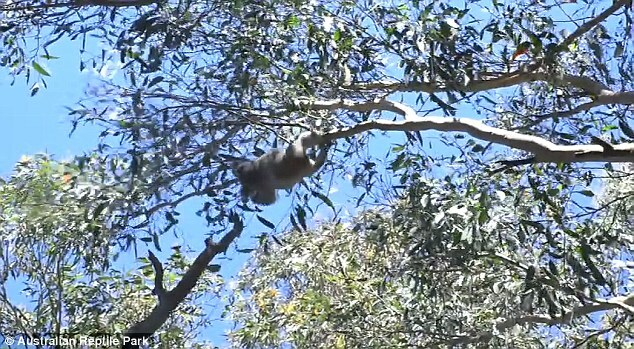 White Wolf : Cheeky Molly, the koala, escapes from the wildlife park to hunt for a mate. Cheeky Molly, the koala, escapes from the wildlife park to hunt for a mate. 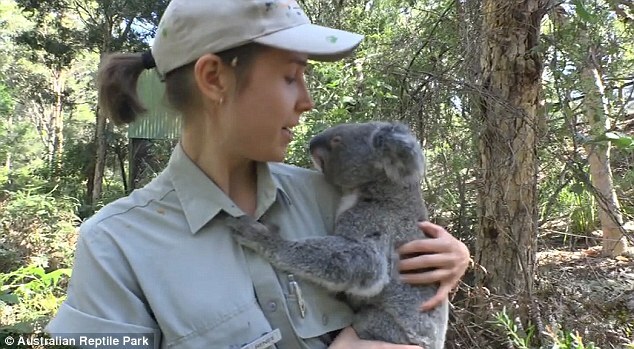 A female koala looking for love escaped her holding yard at a wildlife park. 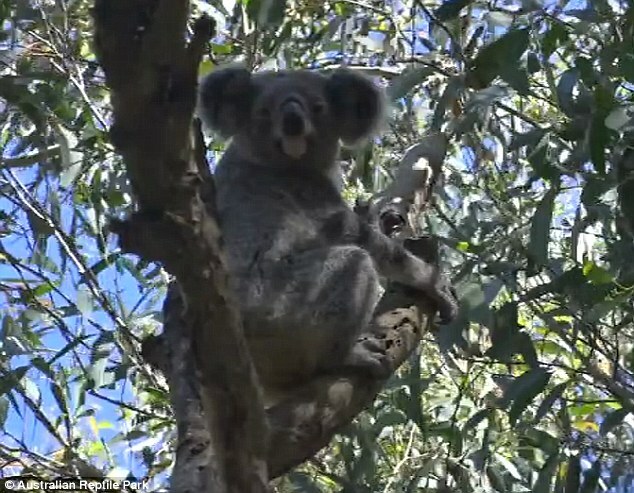 A female koala searching for love clambered 50 meters into the tree tops only to be followed by the one male she didn’t want. Two-year-old Molly perched herself in a tree after a Houdini style escape act from her holding yard in search of a mate. General Manager for the Australian Reptile Park Tim Faulkner climbed up behind her with the assistance of park keepers to bring her back down. 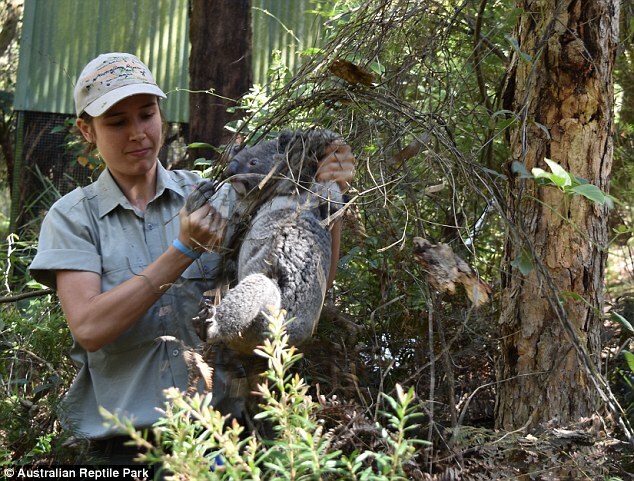 Mammal keeper Renee Howell, who is waiting at the base, quickly grabs the young koala and rips her from the tree before carrying her back to the yard. 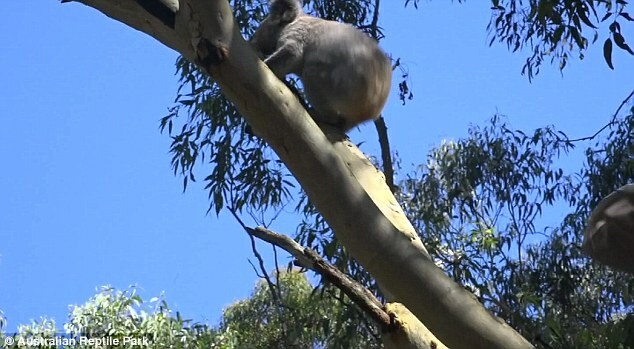 ‘It’s no coincidence she made her way to a males' yard… Koala escapes are uncommon,’ said Mr Faulkner. 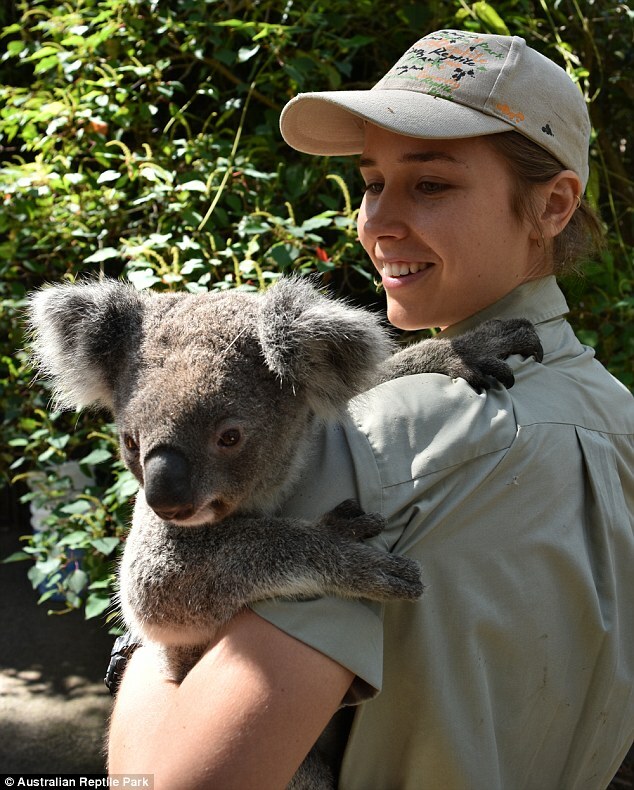 ‘They exclusively only happen when a koala wants to mate,’ he continued.Molly is one of 11 adults and 4 baby joey koalas at the Australian Reptile Park in Somersby New South Wales. The Australian government have marked koalas as vulnerable and endangered throughout parts of the country. Responses to "Cheeky Molly, the koala, escapes from the wildlife park to hunt for a mate."